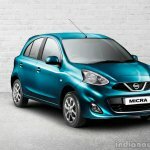 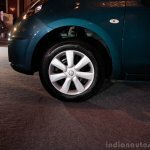 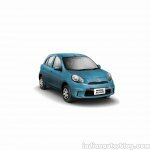 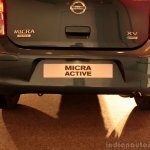 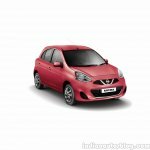 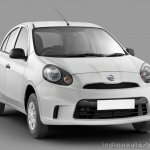 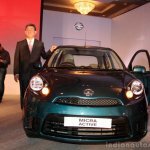 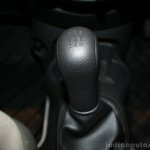 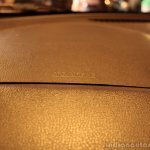 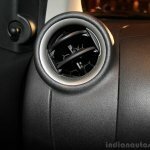 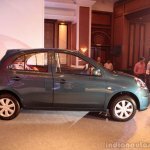 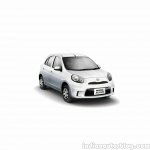 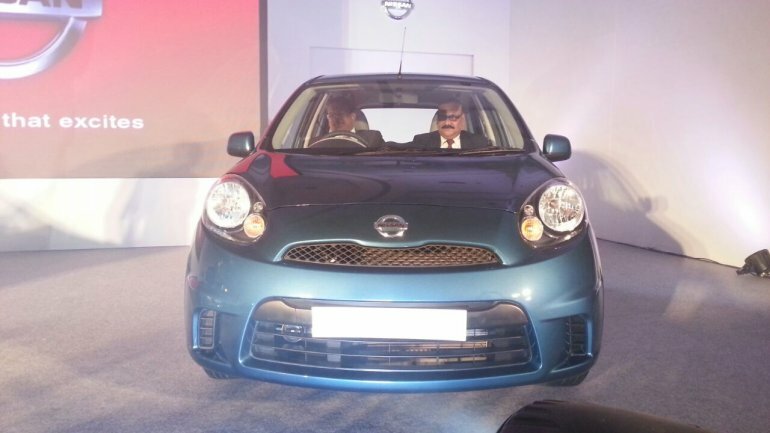 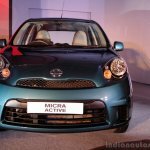 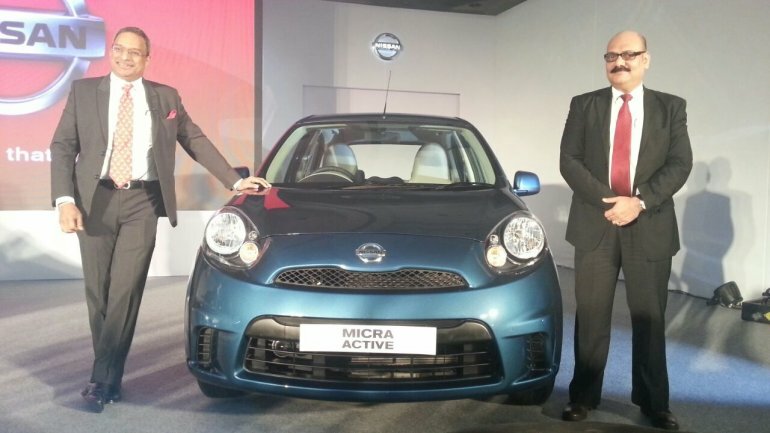 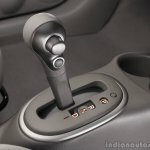 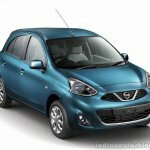 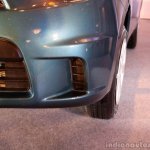 Indian Autos Blog readers were the first to know about the Nissan Micra Active variant. 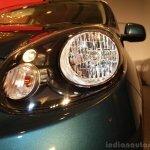 While they read the variant name first right here a few months ago, we were also the first to bring you spyshots of the car that revealed the revisions. 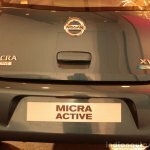 From today we don't need spyshots or renders to help us report as Nissan has formally announced the Active along with the Micra facelift. The Nissan Micra Active is not a variant but a variant family. 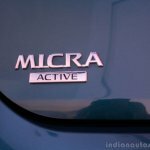 It comes in XE, XL, XV and XV Safety trim levels and will compete with the Hyundai i10, Maruti Wagon R and the Chevrolet Beat, a segment below the operating field of the Micra facelift. 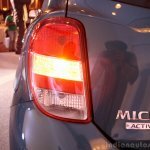 The Nissan Micra Active features a new front bumper that lacks foglights. 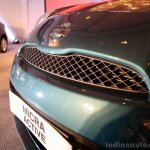 The grille lacks chrome linings and the wheels make do with plastic caps. 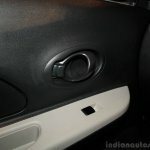 The side mirrors and door handles don't get the body colored treatment. 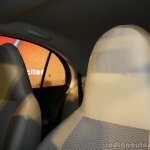 Moving to the interior, the front seats sport fixed headrests. 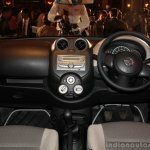 The dashboard features a dual-tone black and green layout. 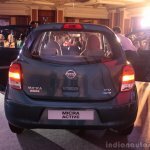 Nissan has not skimped on the safety features as the top-end variant is installed with two front airbags, ABS and speed sensing door locks. 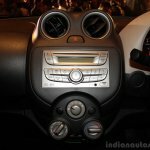 The music system is decent with USB and Aux-In ports. 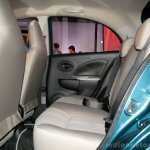 The rear seat gets two height adjustable headrests. 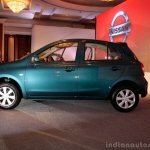 However Nissan is not offering either ABS or Airbag as a standard feature on Active variants. 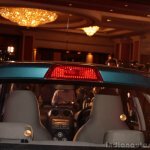 Head to Page 2 for the brochures and press release and Page 3 for the official and live image galleries.